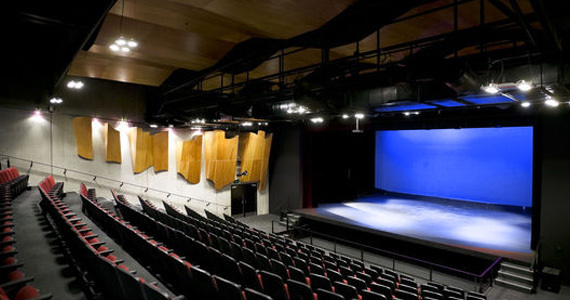 Fisher Auditorium, which seats 258, is one of New Zealand’s newest, medium-sized theatres. Designed in proscenium configuration it can be adapted to use the orchestra pit or alternatively, to utilize a large 10 x 2 metre stage extension. In both configurations sight-lines and acoustics are excellent. The theatre is fully equipped to accommodate all events from classical and rock music, to dance, film and conferences. Our film projector is cinema standard. We boast some of the most comfortable and spacious auditorium seating in NZ. Theatre hire includes the use of foyer, box office and two spacious dressing rooms with showers. THE THEATRE IS FULLY EQUIPPED TO ACCOMMODATE ALL EVENTS FROM CLASSICAL AND ROCK MUSIC, TO DANCE, FILM AND CONFERENCES. Above the theatre are ten practice rooms and two large sound proof music rooms which accommodate up to 30 musicians. The music spaces may be hired for classes, seminars and workshops. Adjacent to the auditorium are two 11 x 13 metre rehearsal studios with sprung floors, lighting grids, sound and audio-visual equipment. The studios are suitable for performing arts classes, dance, drama and as meeting rooms for up to 80 people. They may also be used as extra dressing room space for large casts. Both studios open to the outdoors. Classrooms are available for conferences during school holidays and other facilities can be booked outside of school hours. Epsom House offers comfortable onsite hostel style accommodation and is available for hire to large groups during school holidays. Perfect for groups using the RFAC for conferences or workshops or other groups using EGGS Facilities such as sports teams. Accommodation is only available during school holiday time.